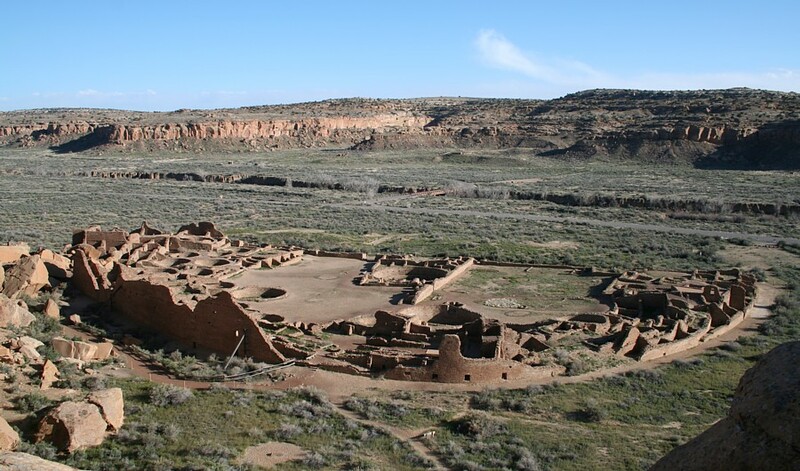 Did Women Hold the Power in Chaco Canyon? A study of bodies buried at the site known as Pueblo Bonito at Chaco Canyon in New Mexico suggests power was passed down through a female line between the year 800 and 1130. Learn more at The New York Times. Tim Linhart, from New Mexico, USA, has been carving ice for over 30 years, including a dozen frozen concert halls with fully functional musical instruments made almost entirely of ice. Linhart dug a cave just below the Arctic Circle in Lulea, Sweden, to keep his delicate instruments cool. Learn more at The LADbible. Archaeologists at a burial ground in London have excavated the skeletons of two men, believed to have been in their 40’s, who were buried hand in hand during an outbreak of the Black Death in 1348. The outbreak is estimated to have killed more than half of London’s population. The two men were buried in the third and final layer of graves dating to the early 15th century. Archaeologists say the pair may have been related by blood or marriage. Learn more at The Guardian. Learn more about the Black Death, one of the bubonic plague epidemics, from Secrets of the Dead: Mystery of the Black Death.